Retail figures from the UK have revealed that The Division 2’s physical launch has only managed 20% of the sales of Division 1, which launched back in 2016. While this is a huge gap in the numbers, it isn’t to say that the game is unpopular. So what exactly has caused the drop in physical sales? For starters, far fewer people are drawn to buying physical games nowadays than they were three years ago, with the potential to play games on release night tempting players to pre-download the games with their digital purchase. Most games are seeing a decline in physical sales even with the attraction of collector’s editions and other physical perks, so it’s not too surprising for even such an anticipated triple-A release. The Division 2 also released on a Friday, unlike Division 1, which released on a Tuesday. As a result, it’s likely benefited from the extra time to grow its numbers. However, it’s still noteworthy that the way we purchase games seems have shifted away from the high street. The Division 2 is currently at the top of the UK’s top 10 selling game, however and there’s a lot to do, from squad exploration and raids to Dark Zone, which sees players fight among themselves and the environment. Players who have been playing since launch will be pleased to learn that a new leak has confirmed the first eight-person raid for The Division 2, named Dark Hours. 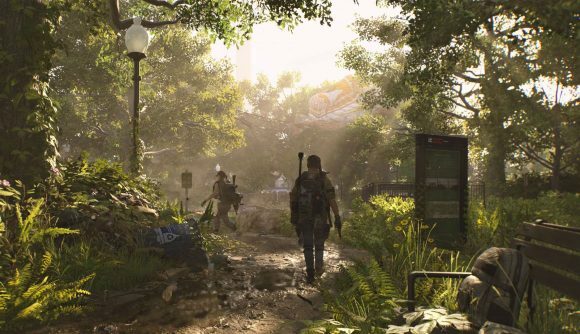 To get to that point however, you may want to reach the Division 2 endgame – as it’s set to be challenging.